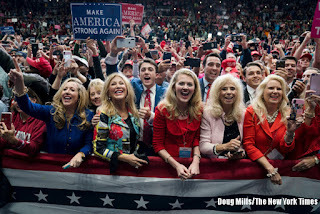 DAILYKENN.com --Fake feminists aside, President Donald Trump has tapped into the natural instinct of Western women to be honored, cherished, and protected. Or, to quote the New York Times, "At Trump Rallies, Women See a Hero Protecting a Way of Life." Face it. Fake feminists are going against the grain of human nature. Attempting to pound the female form into a masculine build is an effort in futility. Yep. You can train a poodle to dance, but you can't make a real man feminine nor a real woman masculine. Eventually the poodle goes back to being a poodle and eventually men and women revert to their inherent forms. Standing in an airplane hangar in the mid-autumn chill awaiting the arrival of President Trump, Joan Philpott said she was angry and scared. Only Mr. Trump, she said, can solve the problems she worries most about.“He wants to protect this country, and he wants to keep it safe, and he wants to keep it free of invaders and the caravan and everything else that’s going on,” said Ms. Philpott, 69, a retired respiratory therapist.Ms. Philpott was one of thousands of women who braved a drizzle for hours to have the chance to cheer Mr. Trump at a rally here on Thursday. While political strategists and public opinion experts agree that Mr. Trump’s greatest electoral weakness is among female voters, here in Columbia and places like it, the president enjoys a herolike status among women who say he is fighting to preserve a way of life threatened by an increasingly liberal Democratic Party. 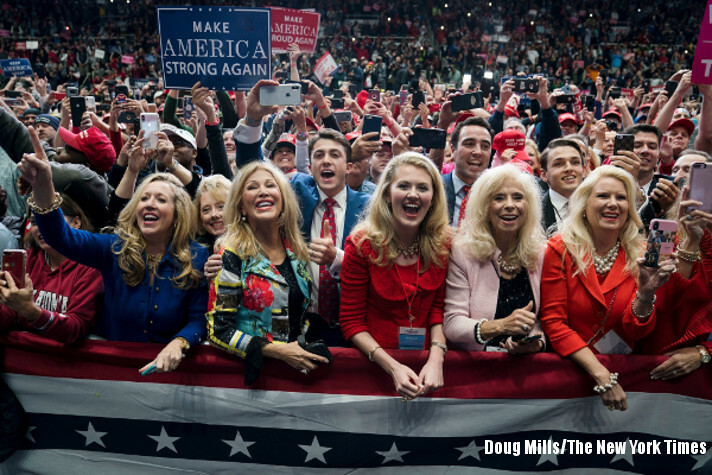 As Republican candidates battle to keep their congressional majorities in the midterm elections on Tuesday, Mr. Trump is crisscrossing the country to deliver a closing argument meant to acknowledge — and in many cases stoke — women’s anxieties. At rally after rally, he has said that women “want security,” warning of encroaching immigrants, rising crime and a looming economic downturn if Democrats gain power. Owner: Columbus Marketing Group, Inc. Permission is granted to use original material in this article providing (1) the byline is included in an obvious manner crediting DailyKenn.com as the author, (2) a link to this page is included and (3) no changes are made either by deletion, addition or annotation. Original compositions at DailyKenn.com are sometimes seeded with decoy data, such as hidden acronyms, to detect unauthorized use and plagiarism. Get "HOT NEWS" E-mail Alerts! Click ► here ◄ to get the html code to add the DailyKenn.com widget your web site. Stolen identity: What's in a name? What were Germany's First Reich and Second Reich? Guess what! You're a nationalist! New state rep says Tennessee is "full of racists"